With the last-lasting priesthood and temple ban that ended in 1978, Mormons have a poor record with regards to race relations. 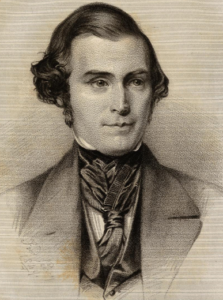 I talked about reasons why Brigham Young changed from support of ordination of blacks to opposition my last episode, but Apostle Orson Pratt is a bright spot in Mormon history given his vocal support for black civil and voting rights. Slavery was legalized in Utah in 1852 because of support by Mormon prophet Brigham Young. However, his apostle/legislator Orson Pratt not only went on record to oppose slavery, but was a proponent of black voting rights! Dr. Paul Reeve of the University of Utah describes his findings of recently discovered speeches of the 1852 Utah Territorial Legislative session. My mind was blown to learn that a decade prior to the Civil War, Pratt was a proponent of voting rights for African Americans, and said “angels will blush” if Utah passed the slavery bill. Please listen in! You can get a transcript here, or at Amazon. In March 1847, Brigham Young was quoted as being favorably aware of Q. Walker Lewis, a black Elder in the LDS Church in Boston. But in February 1852, he is quoted as saying that black men will never hold the priesthood. What caused this remarkable change in Brigham Young? Listen in to find out! Click here if you’d like a transcript, or you can get one at Amazon too! What do you think of Brigham Young’s reaction?